Lisa: Did I mention that we are Lebanese? 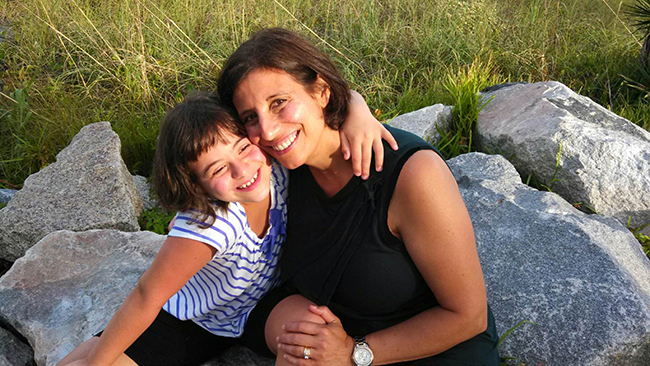 As such, Sophie’s refined palate LOVES almost any kind of food containing lemon juice. If you don’t like the flavor of lemon in foods, you just may starve at our house! One of Sophie’s favorite meals is grape leave rolls. This variation might make my dear grandmother Pansy roll over in her grave since I’ve substituted white rice with brown. (Sorry Sittie!) But the result is a low calorie, high fiber, and healthier variation of the traditional recipe. Brown rice is a significant source of manganese, a mineral that helps the body to produce a crucial antioxidant enzyme called superoxide dismutase (SOD). SOD helps to protect mitochondria, the energy producing parts of cells, from free radical damage. AND brown rice is much higher in fiber than white rice. This is all so important for our children with Down Syndrome. 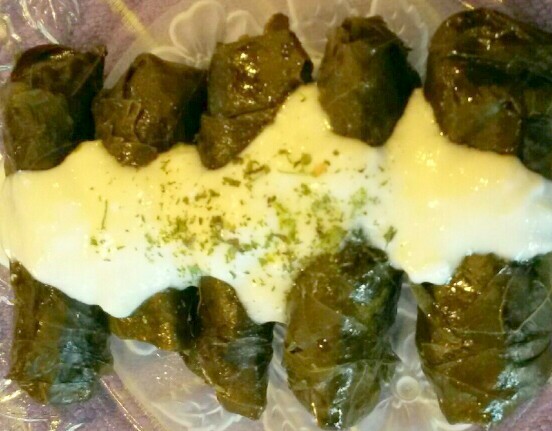 Grape leaves are very low in calorie — about 14 calories for every 5 leaves. They are a good source of vitamins C, E, A, K and B6, plus niacin, iron, fiber, riboflavin, folate, calcium, magnesium, copper and manganese. A single heart-healthy serving, or one cup of grape leaves, has no fat or cholesterol and is very low in sodium and sugar. Before I explain how to roll the leaves, let me jump ahead to interject a comment. Now, hear this: If after rolling the leaves, you find that you have extra stuffing leftover, the Grape Leaf Police Squad will NOT come to get you!! I know Sittie-you never had this problem! Simply place the excess stuffing in a pot and simmer until the rice is done. It’s a great side dish. Ok, back to directions…Coat the bottom of a 6-quart pot with olive oil, and then line the bottom of the pot with the potato slices to prevent the grape leaves from sticking in the bottom of the pot. 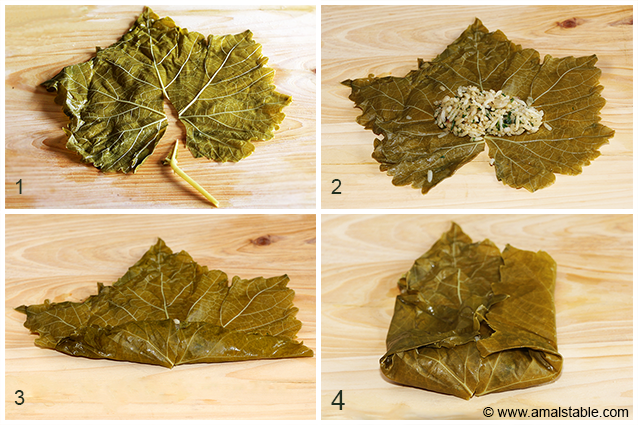 Begin layering the rolled/stuffed grape leaves, folded side down, as follows: Lay several grape leaves out on your kitchen counter, vein side up/shiny side down. Add a small amount of the stuffing atop each leaf–about 1-2 tbsp depending on the size of the leaf, and roll as shown in the link or in the photo below.